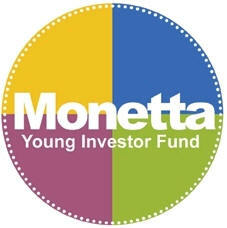 Monetta Financial Services, Inc., the investment advisor to the Monetta Young Investor Fund (https://www.younginvestorfund.com, NASDAQ:MYIFX)] has established a partnership with GiveAshare LLC (giveashare.com), which offers one share ownership in over 100 of America’s leading companies and includes the authentic stock certificate. Collectible stock certificates offer kids a sense of ownership that connect them to their favorite companies in a fun and educational way. The partnership provides a discount to individuals interested in purchasing a share from GiveAshare to those that visit the Monetta Young Investor Fund website at https://www.younginvestorfund.com. GiveAshare specializes in selling real one share ownership in over 100 of the world's most beloved companies. The stock certificate is legally registered in the recipient's name entitling them to declared dividends, annual reports, and any other shareholder perks. For more information on GiveAshare, please visit https://www.giveashare.com or for more information on the Monetta Young Investor Fund, please visit younginvestorfund.com or call 1-866-YNG-INVESTOR (964-4683). Individual stock ownership is one of the basic ways to grab a young child’s attention to encourage them to get involved in the investment process at an early age.